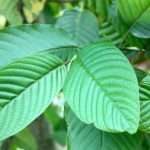 Over the past decade, Kratom has become quite a popular natural remedy around the world for relieving pain, treating opiate addiction and many other health issues. Offering a completely natural and non-chemical relief, Kratom has been used for thousands of years in its native Southeast Asia, but its use has widen quite a bit as people have begun to realize just how much its numerous medicinal effects can contribute to their health. A very popular use of Kratom is for anxiety, as it offers highly-effective anxiolytic effects. If you happen to suffer from anxiety, you should definitely consider using the Kratom anti-anxiety solution, instead of seeking help in pharmaceutical drugs, so read on to learn the reasons why, as well as to find out what the best strains for treating anxiety are. What Anxiolytic Effects Does Kratom Offer? Kratom leaves contain alkaloids which can have very powerful effects on both the body and mind. They affect the nervous system, calming the triggers that cause anxiety and helping the body and mind relax. Apart from relaxing the muscles in the body and calming the physical triggers for stress response, making the stress feel more manageable, Kratom is also great for promoting the lack of worry and inspiring the feelings of optimism. This greatly helps with treating anxiety, as you can feel your whole body, as well as your mind, completely free from any stress. Kratom also helps with providing the body with enough daytime energy and promoting sleep so, by using the right Kratom strain, you can improve the quality of your sleep as well. The important fact when using Kratom for anxiety is that it has no significant side-effects, unlike pharmaceutical drugs, which usually have numerous side-effects, not to mention that your body can very quickly become addicted to them. Of course, you need to use the right dosage, so as to experience only the benefits of Kratom. 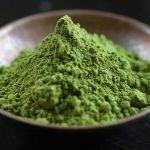 There are a lot of different Kratom strains and using the wrong type of strain for a certain desired effect can result in completely different effects, providing you with very little benefit. That is why you need to know exactly what types of Kratom strains can ease your anxiety problems and provide you with the best possible benefits. The best possible Kratom strains for treating anxiety are red vein strains, since they release tension and can calm both your body and mind. Red vein Kratom promotes well-being and makes you feel optimistic, thus removing your anxiety issues. However, there are some red vein Kratom strains that have analgesic effects, as well as those that can greatly increase your energy levels and enhance your mood, so they cannot provide you with the right benefits for your anxiety. Therefore, make sure you do your research and avoid the red vein Kratom strains that have stimulating effects, but instead use those that promote serenity and tranquillity. The most popular red vein Kratom strains for treating anxiety are the Red Bali and the Red Thai, both of which can calm your body, as well as your mind. However, you need to be careful with the Red Thai, as there are some strong and energetic strains that could make your anxiety worse. When using Kratom, it is highly important to use the right dosage in order to experience the right type of benefits. 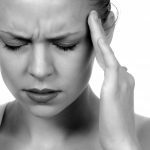 When using it to treat anxiety, the best choice is to keep the dosage at a moderate level, since some Kratom strains are a lot more energetic at low levels, while high levels of dosage can cause Kratom tolerance. If you need some additional information about Kratom dosage or its other health effects, be sure to check out our blog. Previous Post: Can Kratom Be Used for Weight Loss and How Effective Is It?